Abt carries a huge selection of mobile electronics, including products for your car such as Mobile Audio, Car Navigation and GPS units. Never get lost with our assortment of GPS navigation systems by manufacturers Garmin and Alpine. We also offer Mobile Video and Radar Detectors. Simply click on the topic you are interested in and you will be taken to an overview of the product category with simple explanations that will help you make informative decisions. If you need further assistance, please contact an Abt sales associate directly via phone, live chat or in our retail store. Research the different speaker types & features with Abt's Car Speaker Buying Guide. 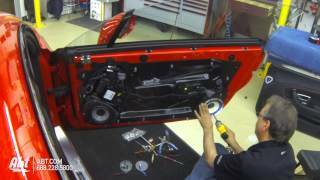 Read about the different car speaker sizes and more, to find the best one for your car. Learn about car stereos and their features with Abt's Car Stereo Buying Guide. Researching before you buy is a great way to find the best stereo for your car. 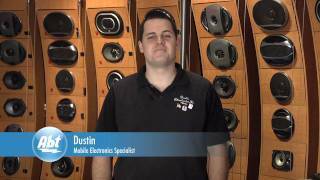 Learn the facts about car subwoofer speakers with Abt's Car Subwoofer Buying Guide. Research which type of subwoofer meets your cars' needs before buying. Learn how a GPS works with Abt's GPS Navigation Buying Guide. Learn about the different types & features to help you pick the right GPS for your car. Learn about the different types & ratings of car amplifiers with Abt's Car Amplifier Buying Guide. Research before buying to ensure you get the best amplifier for your car. 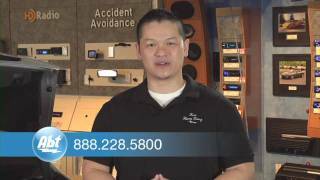 Learn what a satellite radio is and get answers to your questions with Abt's Satellite Radio Buying Guide. Learn about car security systems with Abt's Car Security System Buying Guide. Research the various features that are available before buying the security system for your car. 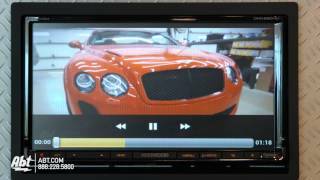 Learn about the different types of car video players with Abt's Car Video Player Buying Guide. Research before you buy helps ensure that you get the best video player for your car. Research the different radar detector types & features to find the best radar detector that meets your needs, with Abt's Radar Detector Buying Guide.